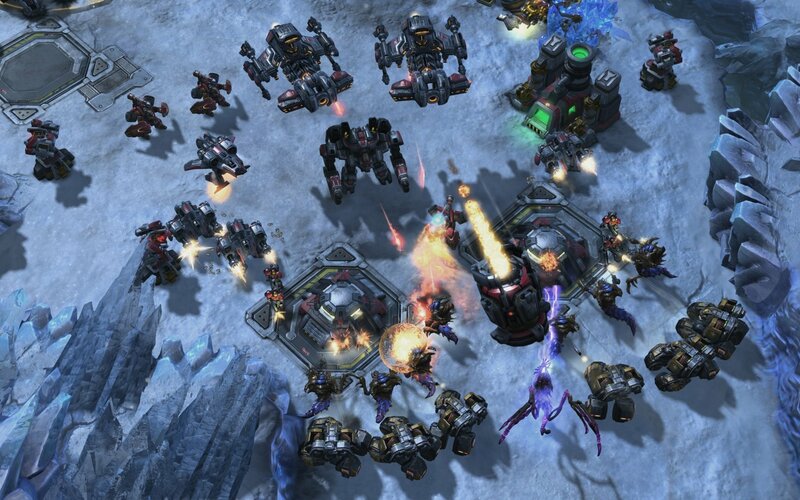 Starcraft II: Legacy of the Void is the latest expansion to the extremely popular RTS giant. 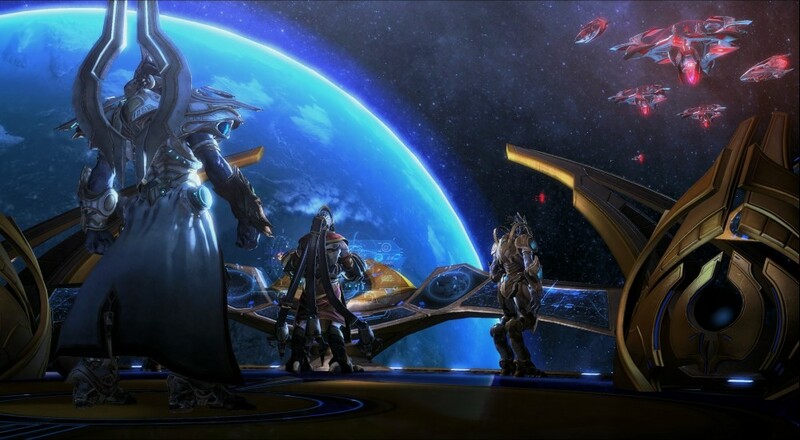 In addition to wrapping up the Starcraft II storyline, Legacy of the Void brings with it not just one but two cooperative gameplay modes. Co-Op Missions and Archon mode are vastly different from one another, and both have their own strengths and weaknesses. But which provides the best co-op Starcraft II experience? The reader may be wondering why we are just now reviewing Starcraft II. The first version of the game, Wings of Liberty, was released in 2010. That’s almost six years ago! Heart of the Swarm, the first expansion, came out in 2013. Covering the game for the first time now is not exactly timely journalism, is it? Surely we should have reviewed a major release like Starcraft II sometime before 2016. Remember, though, that Co-Optimus is a website dedicated to cooperative video games. Starcraft II had no dedicated co-op mode until late last year. The most recent expansion, Legacy of the Void, has two such modes, and was released in November. Comp stomping, where human players team up against AI opponents, has been in Starcraft II from the beginning. While we enjoy a nice round of comp stomping with friends, playing the game this way doesn’t provide the same experience as a mode designed specifically for cooperation. The good news is, there are two different dedicated co-op modes to choose from now. The first such mode is an extensive list of unique cooperative scenarios, and the second is “Archon mode” which allows two players to control an army at the same time. There’s a lot to like about both modes, but the former is where the meat of Starcraft II’s teamwork-based gameplay elements are found. Co-Op Missions is the rather unimaginative name for the cooperative scenarios. These missions support two players, whether via party or matchmaking. Unlike in traditional Starcraft II multiplayer, each player chooses a commander before the match begins. Each race has multiple commanders, and they all play slightly differently from one another. Commanders have two major effects. Firstly, they bolster your army with specific traits and powers. Secondly, your choice of commander determines what units you have access to. All commanders, even those of the same race, provide unique game plans. Matching the right commander to your preferred strategy is important. Those who prefer to use the Zerg can choose from Kerrigan (naturally) or Zagara. Kerrigan gets in the mix with the rest of your army and really deals the damage, while providing you access to some of the hardest hitting Zerg units. Zagara is not as strong on her own as Kerrigan is, but she provides passive and cool-down abilities similar to those in the single player campaign. Zagara is more subtle than Kerrigan. Her abilities allow you to summon all sorts of nasty Zerg units right on the spot, as well as providing considerable buffing power to your army. All the different Terran and Protoss commanders feature similarly diverse options and strategies. Each mission you play using a specific commander earns experience, and commanders become more and more powerful as they level up. You might earn a new ability, strengthen an ability you already have, or obtain access to a new unit. The experience system gives you incentive to keep playing the same commander, while also guiding you to try new strategies. Protoss commander Artanis is a good example. His units are fairly weak to begin with, but due to his flexibility in warping units across the map, he is still effective. At level 2, he gets access to one of the most powerful buffs, a shield that temporarily prevents units from dying. He shines as a support commander during this time. Upon hitting level 5, Artanis earns access to Reavers, boosting his damage potential considerably. The shifting strategies that work best with commanders as they level up are well designed and provide meaningful replayability. The maps available for Co-Op Missions also give players plenty of replay options. There are seven available, each with unique objectives for victory and conditions for defeat. One map has players defending a Xel’Naga temple against Amon’s forces, rewarding “bunker down” strategies. Some maps are more offensive in nature, requiring players to work together and sweep across the map. Other maps reward speed and flexibility, such as one of my favorites, based on a mission from Wings of Liberty, in which supply trains, guarded by enemy forces, must be destroyed before they make their way across the map.